Here is Isaiah 53 taken from the Today's Good News Bible, it is an easy English Translation. Isaiah 52:13 The Lord says, "My servant will succeed in his task; he will be highly honored. 14 Many people were shocked when they saw him; he was so disfigured that he hardly looked human. 15 But now many nations will marvel at him, and kings will be speechless with amazement. They will see and understand something they had never known." 53:1 The people reply, "Who would have believed what we now report? Who could have seen the Lord's hand in this? 2 It was the will of the Lord that his servant grow like a plant taking root in dry ground. He had no dignity or beauty to make us take notice of him. There was nothing attractive about him, nothing that would draw us to him. 3 We despised him and rejected him; he endured suffering and pain. No one would even look at him — we ignored him as if he were nothing. 4 "But he endured the suffering that should have been ours, the pain that we should have borne. All the while we thought that his suffering was punishment sent by God. 5 But because of our sins he was wounded, beaten because of the evil we did. We are healed by the punishment he suffered, made whole by the blows he received. 6 All of us were like sheep that were lost, each of us going his own way. 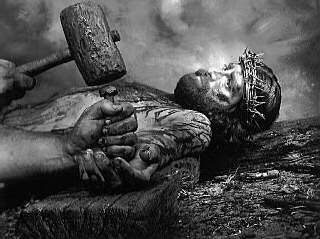 But the Lord made the punishment fall on him, the punishment all of us deserved. 7 "He was treated harshly, but endured it humbly; he never said a word. Like a lamb about to be slaughtered, like a sheep about to be sheared, he never said a word. 8 He was arrested and sentenced and led off to die, and no one cared about his fate. He was put to death for the sins of our people. 9 He was placed in a grave with those who are evil, he was buried with the rich, even though he had never committed a crime or ever told a lie." 10 The Lord says, "It was my will that he should suffer; his death was a sacrifice to bring forgiveness. And so he will see his descendants; he will live a long life, and through him my purpose will succeed. 11 After a life of suffering, he will again have joy; he will know that he did not suffer in vain. My devoted servant, with whom I am pleased, will bear the punishment of many and for his sake I will forgive them. 12 And so I will give him a place of honor, a place among the great and powerful. He willingly gave his life and shared the fate of evil men. He took the place of many sinners and prayed that they might be forgiven." Galatians 3:13 But by becoming a curse for us Christ has redeemed us from the curse that the Law brings; for the scripture says, "Anyone who is hanged on a tree is under God's curse." 14 Christ did this in order that the blessing which God promised to Abraham might be given to the Gentiles by means of Christ Jesus, so that through faith we might receive the Spirit promised by God. Jesus is taken, a lamb innocent of any wrong doing, He has done nothing wrong in the eyes of the law or God, He is examined prior to the Passover and found to be without fault, spot or blemish, He is the perfect Sacrifice. He is handed over to men that are of evil hearts, they care not for the things of God or God, but what they can gain themselves through the things of God. The soldiers cast lots like a lottery for His undergarments and He is offered wine vinegar on a stake, it would act as a pain killer and probably only numbs the raw edge of the excruciating pain as every joint in His body is being pulled apart and it is becoming more difficult to breath from the positioning of the arms. BUT, He refuses it when it was offered, He must experience the fullnesss of the suffering for our sake. Most on the cross would sufficate from this position, others would have their legs broken and die in the same manner of suffication as they could no longer be able to hold up the pressure of their body. Mark 15:37 And Jesus cried with a loud voice, and gave up the ghost. 38 And the veil of the temple was rent in twain from the top to the bottom. 39 And when the centurion, which stood over against him, saw that he so cried out, and gave up the ghost, he said, Truly this man was the Son of God. It broke from the love within, it is was so great for all of us... And the New Covenant was birthed. As did Eve come from the side of Adam... When a baby is born in the natural, firs the water breaks, then there is blood with the bithing of the child. Jesus birthed the New Covenant from His side. He paid the ultimate sacrifice, His life for ours and He never cried out, He didn't have to do it, but He choose to do it for you, me and the entire world. This is why it is called the "free gift" that all you need is to accept what was done, that you can not "do" anything in your own strength to please God or get close to Him. Jesus did it all, He bridged the gap that existed since the garden of Eden & the fall of man from the presence of God. If you feel tears, let them go, they are the tears of repentance, the baptism that John the baptist called us all to, and if you feel to talk to God, open your mouth an dpray what God has filled your mouth with, and trust that He will provide you with the words. He will. 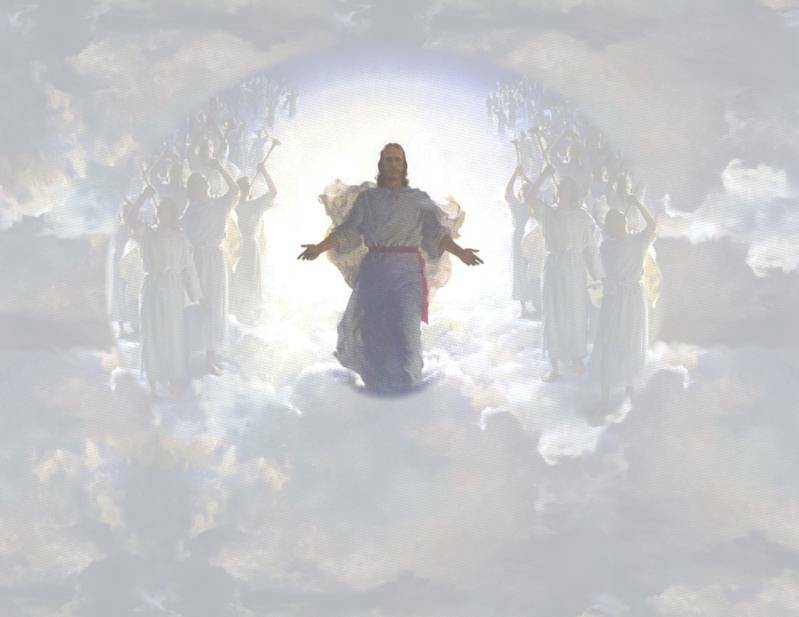 Don't wait to accept the gift, don't think, I am a good person, I will or should go to heaven, be sure where you will spend eternity and don't wait till the day BEFORE you die to accept Jesus Christ into your heart and make Him the Lord of your life. You do not need a special prayer, trust the Lord, the Holy Spirit will guide you.